This month’s edition of Performance Counts comes to us from Deputy Director Tracie Guy-Decker. 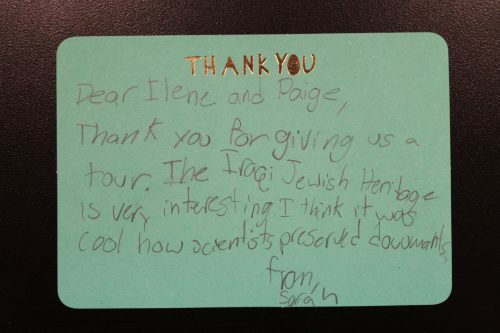 For this month’s Performance Counts, it seemed like a good time to take a closer look at our current exhibit, Discovery and Recovery: Preserving Iraqi Jewish Heritage. Performance Counts is all about looking at numbers and data, so I’ll start with the most important number for you to remember about this exhibit: 3. That’s the number of days (including today) you have left to see this important exhibition while it’s at JMM. Monday will be the last day the public will be able to tour the exhibit while it’s here, since National Archives staff will be joining us on Tuesday, to start the de-installation. Discovery and Recovery: Preserving Iraqi Jewish Heritage details the dramatic recovery of historic materials relating to the Jewish community in Iraq from a flooded basement in Saddam Hussein’s intelligence headquarters, and the National Archives’ ongoing work in support of U.S. Government efforts to preserve these materials–over 2,700 Jewish books and tens of thousands of documents. In both English and Arabic, the 2,000 square foot exhibit features 23 recovered items and one “behind the scenes” video of the fascinating yet painstaking preservation process. This exhibit was created by the National Archives and Records Administration, with generous support from the U.S. Department of State. Since it’s been with us, more than 3,200 visitors have come to JMM to see it. This includes more than 500 students from 18 distinct school visits, including public, independent and religious schools. While the exhibit has been in our gallery, we’ve been open to the public 62 days (with 2 left after today), and have hosted 10 public programs related to the exhibit (with one more to come this Sunday), and two that didn’t directly relate to the exhibit, but whose participants still had a chance to see it! JMM is the eighth venue for this important exhibit, and its installation was made possible here through the generous support of eight donors, including 2 individuals and 6 foundations or philanthropic funds. If you miss it here, your next option is to grab a flight to Atlanta ($163) and see it at the Breman Museum ($12)*. So save some money and take advantage of these last two days. 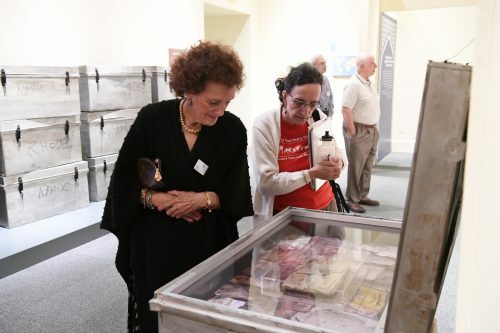 *If you’re a JMM premium member, you get FREE reciprocal admission to the Breman Museum – and 11 more Jewish museums around the country! Consider upgrading your membership today. On October 15th the Jewish Museum of Maryland opened our latest exhibit Discovery and Recovery: Preserving Iraqi Jewish Heritage. 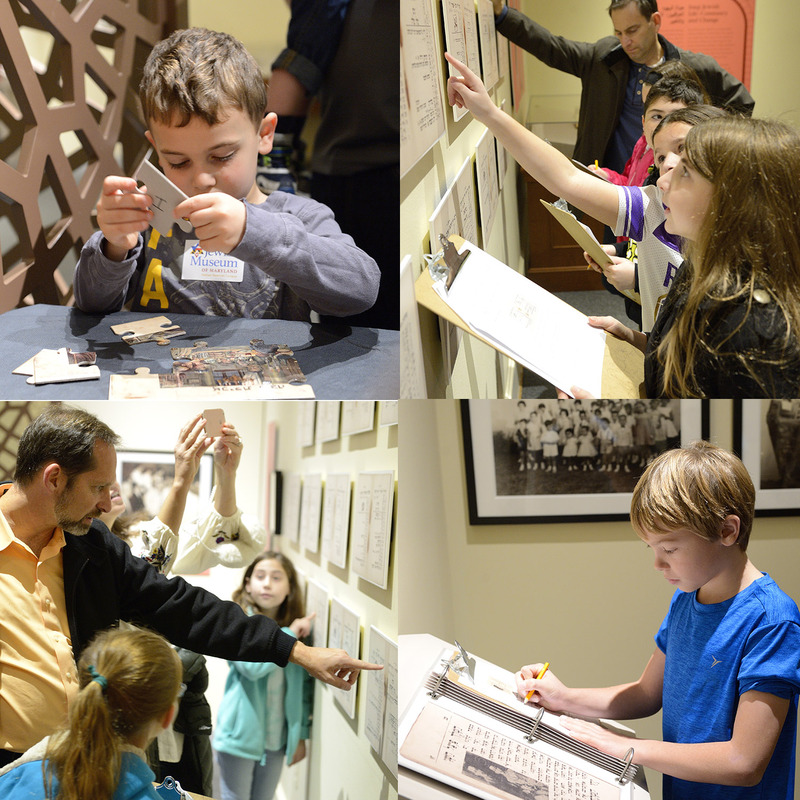 We have held six public programs in connection with the exhibit in its first month, averaging an audience of 75+ for each event. However our biggest program is yet to come. I have asked Trillion to outline the festivities we have planned for the first Sunday in December. 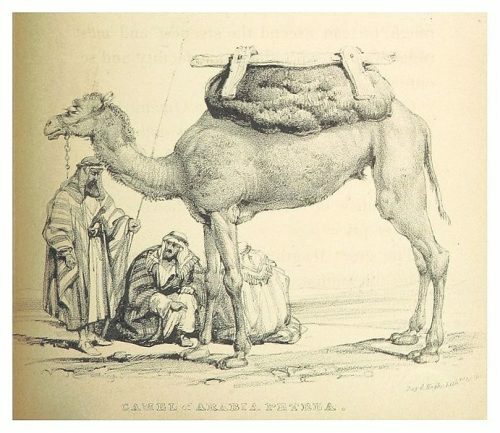 Talmud to Tik: Iraqi Jewish Heritage Day is a full day celebration of the rich culture developed by the Jewish community in Iraq and preserved by their descendants across the globe. I believe our guests will find something suitable for all ages and all tastes and that we will enable greater Baltimore to make a personal connection with that culture. What can you expect on the day? Here are some of the highlights. 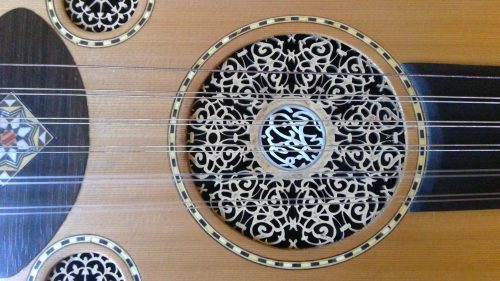 Rabbi Haim Ovadia will be joining us from Washington, DC to perform two concerts that will explore the origins and diversity of Jewish Iraqi music. The morning concert at 11am will be especially designed for kids and families, while the afternoon concert at 2 pm is for everyone. Feel like dancing? Enjoy and learn some of the traditional dances of the Iraqi Jewish community with the Silk Road Dance Company. This troop of dancers will actually put on three different performances on the 3rd, starting at 12:30, 1:30 and 3:30 pm. If there is music and dance, can food be far behind? 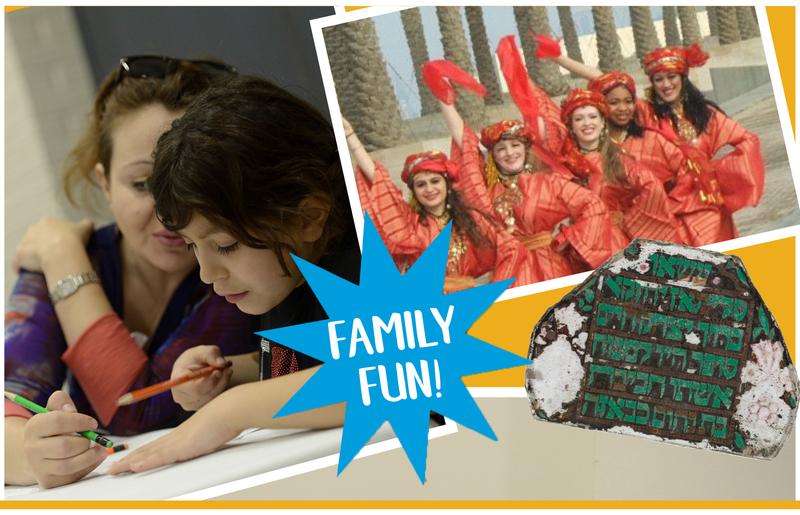 Get a real taste of Iraqi Jewish culture, literally. Jackie Feldman of Sephardic Jews in DC, will lead a workshop making Baharat, a spice mixture eaten across the Middle East which is a critical building block for most Iraqi Jewish recipes. This tasty mixture can be taken home and combined into a variety of delicious recipes. And one more treat for our youngest visitors. We will also be joined by Violet Battat, representing SHIN DC who will be offering a special Jewish Iraqi story times. 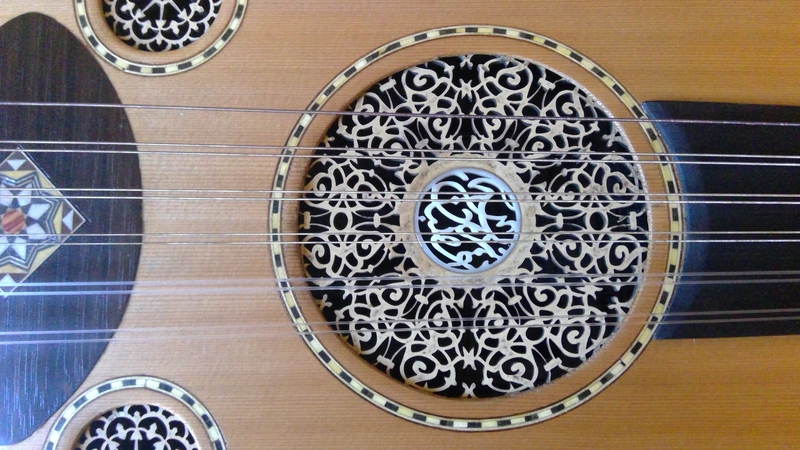 Violet will share with us stories passed down through her family, combined with singing and an exploration of Iraq. These sessions are specially designed for children aged 3 to 7 though the young at heart are also welcome. If that isn’t enough we will also have several arts and crafts opportunities. 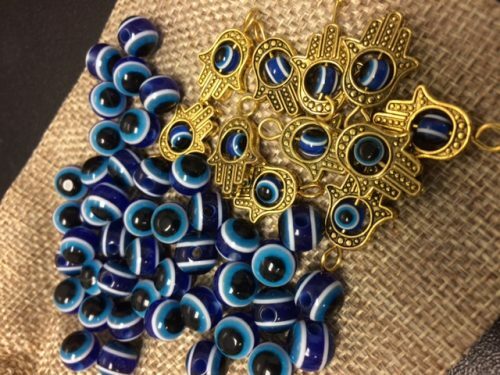 Activities include making evil eye bracelets, decorating your own tik (the container traditionally used to hold an Iraqi Torah) and even making some delicious date balls to take home, or eat immediately, if you are feeling peckish! The day is certain to be fun filled, we couldn’t have managed such an extravaganza were it not for the support of the Jacob and Hilda Blaustein Fund for the Enrichment of Jewish Education of the Associated: Jewish Community Federation of Baltimore. For more details or to buy your tickets please check our event page here. A blog post by Deputy Director Deborah Cardin. To read more posts from Deborah click HERE. 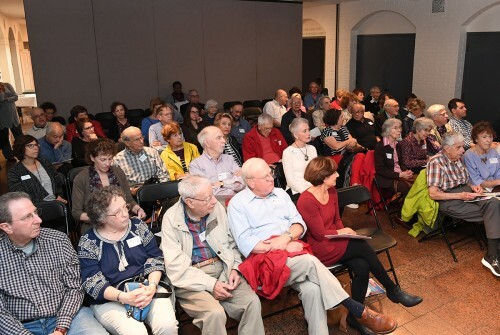 JMM exhibits and programs often transport our visitors to another time and place, whether to mid 19th century Palestine in The Amazing Mendes Cohen, pre-Holocaust Poland in Remembering Auschwitz, or one of our recent lectures in conjunction with Just Married! 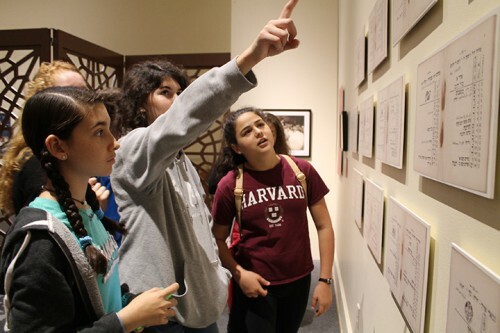 “Sephardic Weddings: Traditions of Yesterday and Today.” We are pleased to carry on this tradition with our newest exhibition, Discovery and Recovery: Preserving Iraqi Jewish Heritage which opened this past Sunday to a crowd of 100+ visitors, including a special student group from Oheb Shalom. Created by the National Archives and Records Administration, with generous support from the U.S. Department of State, the exhibit documents the long and rich history of Jewish life in Iraq which flourished for hundreds of year, beginning with the Babylonian exile through the middle of the 20th century. 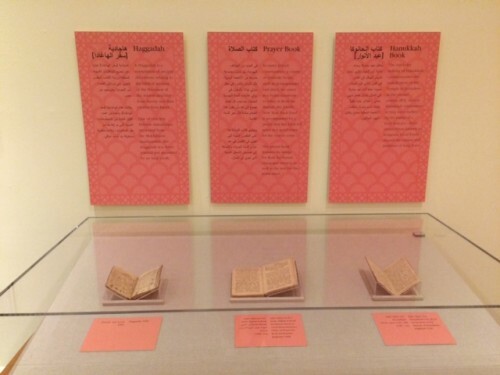 Evidence of this long history is on view in the exhibit through such artifacts as a Hebrew Bible with Commentaries from 1568, a Babylonian Talmud from 1793, and a Haggadah from 1902. Records including school primers and business correspondence testify to the community’s strong presence up until the mid-20th century when Jews faced increasing antisemitism in connection with the rise of the Nazis in Europe. In the aftermath of World War II and the creation of the State of Israel, most of the Jewish community emigrated and today, only five Jews remain. A case of books preserved by the National Archives. While the artifacts on display tell a fascinating narrative of a once storied community, the story of how the exhibit came into being is equally remarkable. During the Gulf War in 2003, American troops entered a bombed building that had housed Saddam Hussein’s intelligence services. They found, in the basement under four feet of water, thousands of books and documents relating to the Jewish community of Iraq that had been gathered by the secret police. Thanks to the efforts of the National Archives, a team of conservation experts flew out to Iraq to assess the damage and to make recommendations for how best to preserve the material. What a great audience for our opening day speaker! We were pleased to welcome Doris Hamburg, former Director of Preservation Programs at the National Archives as our opening speaker on Sunday. Ms. Hamburg spoke about the challenging conditions she and her colleagues faced as they tried to save these documents while operating in the midst of a war zone. Despite the many obstacles they encountered, they were able to ship more than 2,700 Jewish books and tens of thousands of documents to the US where conservation and preservation efforts continued as well as the creation of a traveling exhibit. JMM is proud to be the 6th stop on its national tour. Discovery and Recovery remains on view through January 18, 2018. We invite you to take advantage of the many companion programs that will take place the next few months to learn more about the rich history of Iraq’s Jewish community through food, dance, art, film and personal testimony of former Iraqi residents.